You are authorised to travel to Australia once you have received a confirmation email of your ETA/eVisitor Visa approval. Your details are stored in the immigration system and the ETA/eVisitor visa is linked to your passport electronically. Though it’s NOT necessary, you may wish to send an email to: eta.contact@sita.aero for further clarification. You will receive a confirmation email from us with a unique reference number, as soon as your visa is approved by the Electronic Travel Authority (ETA). This is after providing all relevant information and fulfilling ETA’s terms and conditions. By using this reference number, you will be able to check the status of your ETA through our website www.etasupport.com.au, including the visa category and the expiry date of your visa. We will store your information including your current visa status for a period of 12 months until your visa has expired. You can also download the visa copy form from our online portal by clicking the link Visa Status. Please be advised, this reference number is not to be used at the Department of Immigration and Border Protection Authority website. The Department of Immigration Australia's VEVO system is mainly used by schools, organisations and companies to check the visa status of potential employees, students or researchers. 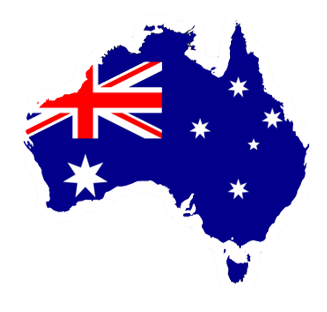 This is widely used to determine the eligibility of these peoples to start their research, studies or work in Australia. Therefore, the VEVO system is not to be used to check the status of short-term tourist visas, i.e. ETA/eVisitor visa. The reference, grant or other numbers that the system asks for are not provided for a subclass 601 ETA tourist visa or for eVisitor visa subclass 651.